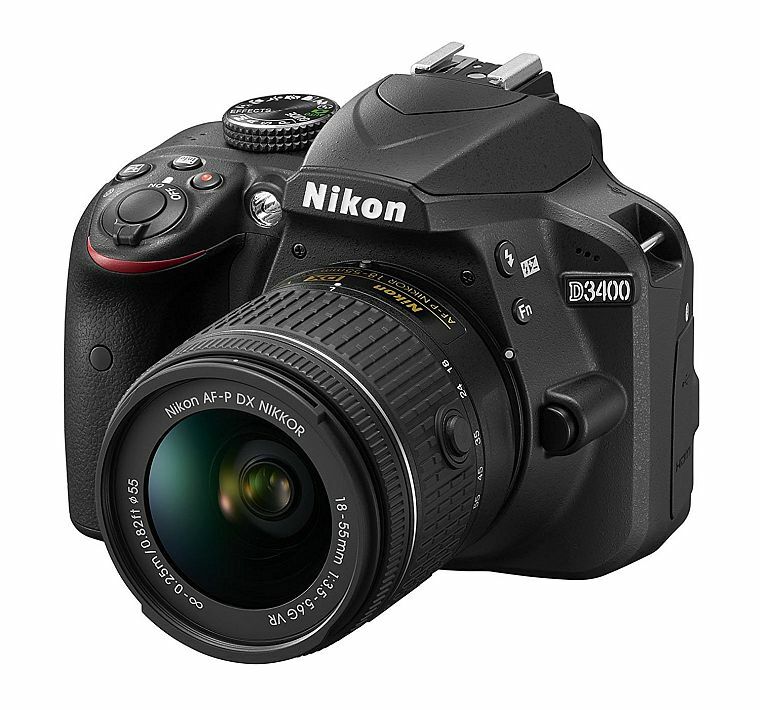 The Nikon D3400 is an entry-level DSLR camera released in 2016, and a successor to company’s widely-successful Nikon D3300. It features a slightly upgraded version of the 24.2MP APS-C CMOS sensor used in the D3300 – with the exclusion of the anti-aliasing filter. Editor note: This article contains affiliate links to Amazon.com, by clicking on links on this page and by making a purchase on Amazon site, I might earn an affiliate income at no cost to you. The D3400 does not bring any drastic changes to the game, having the same 11-point AF system and a 5fps burst-rate shooting mode. One area that is significantly improved is battery life, which can now take up to 1200 shots in one charge. It does expand on connectivity options, now including Bluetooth photo sharing. Another improvement are the AF-P kit lenses included in the package, which differ in offering depending on the region, but all come with a new and improved AF motor. 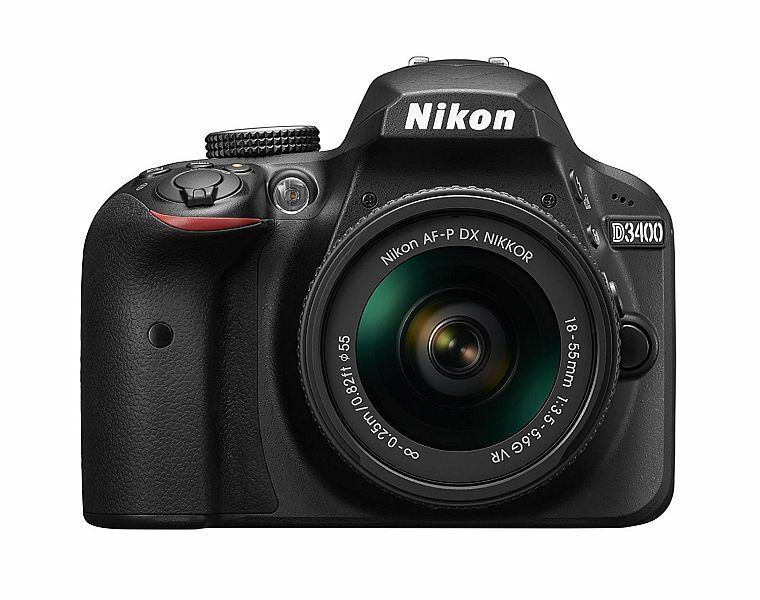 The Nikon D3400 is capable of producing 24MP stills and Full HD 1080p video recording at 60fps. In a world of Instagram and other social media sharing platforms, loaded with fun and quirky photo filters, it is not surprising that people are attracted to snapping photos and sharing them in massive numbers. We are living in a time where cameras on mobile phones have reached a point of quality that it enables anyone with a decent smartphone to be a mobile photographer - at least a casual one. At the same time, with rapid advancements in production technologies, the DSLR market has grown closer to the little man, a casual consumer looking to take their photography to the next level. Taking these considerations into account, it is not surprising that companies such as Nikon and Canon are building consumer-oriented DSLR cameras, a type of cameras that were previously reserved only for professional photographers and agencies. 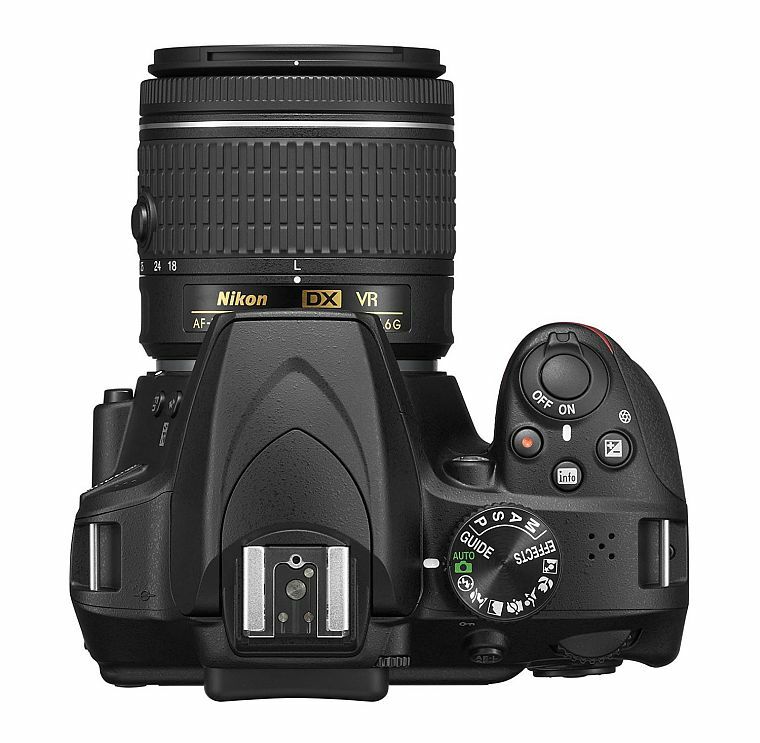 One such camera is the Nikon D3400, representing the fifth generation of the D3000 line of consumer-friendly DSLRs. It’s predecessor, the Nikon D3300 offered only basic DSLR functionality, but more than enough of manual controls for beginners looking to up their technical photography skills. In combination with impressive image quality for it’s class, the D3300 showed great success and gained huge praise from critics and consumers alike. Two years later, Nikon finally decided it is time to upgrade and voila, the Nikon D3400 hit the shelves in late 2016. In this review, we will examine the D3400 in detail, to see if it is a worthy upgrade from its older brother and how it fares against the competition of a crowded market that it is today. There is an old saying – “don’t fix what is not broken” and this is something Nikon obviously holds true when it comes to the body of the Nikon D3400. It has a very similar design to that of Nikon D3300. The body is made almost entirely out of plastic, although it doesn’t feel cheap as it may sound. On the contrary, the D3400 will feel very sturdy and resilient, even intimidating to those are new to DSLR cameras. It has what we like to call a traditional DSLR style of design and this what visually sets a DSLR body apart from other cameras. Even though it is a heavily simplified body compared to it’s higher-end brothers, it still looks like it means business. Modern DSLRs such as this one, offer two ways of capturing your photos. You can use the optical viewfinder (OVF) which is still one of the few but important features that gives a DSLR an edge over mirrorless and other type of cameras. The OVF in the D3400 has only 95% coverage, which means it shows 5% less of the actual frame you will see in the final image result. This is disappointing, but hardly a deal-breaker for a newcomer. On the plus side, the viewfinder has good brightness and is rich with useful information that will make your shooting experience a lot easier. Alternatively, you can use the Live View mode on the 3-inch LCD screen which is fixated on the rear. Fixated means you will not able to tilt it or rotate it which is something we expected Nikon to deliver at this point. The screen has a good level of sharpness at 920k dots, but lacks touch sensitivity. Physical controls on the Nikon D3400 are limited, but those that are present are intuitively placed and allow sufficient manual control for this class of DSLR. Among the top controls the most prominent is the main dial, which controls different shooting modes. The shooting modes are plentiful, offering several presets for various shooting scenarios (portrait, landscape, kids, sports, macro) as well as standard advanced modes (P – Program, M – Manual, A – Aperture Priority, S – Shutter Priority). Additionally, we have Guide and Effects modes. The former is kind of a tutorial mode for learning and the latter is a sort of Creative mode with different photo filters and effects. Looking at the rear of the camera, we have two groups of controls. Buttons that are used for accessing menus, media and playback are situated to the left of the screen, while buttons on the right are used for navigation and changing the settings. Sitting on top right rear of the camera is a horizontal dial which is used for making quick changes to shooting parameters, depending on which mode are you using at the time. If you are in Aperture priority mode, moving the dial will change the aperture. In manual mode, the dial changes the shutter speed, but if moved in combination with holding the exposure compensation button above, it changes aperture. Connectivity-wise, one could say Nikon has improved the situation with the introduction of SnapBridge photo transfer. The SnapBridge smartphone app works well and can automatically transfer photos from the camera as soon as they are captured. Having only Bluetooth connectivity and no Wi-Fi means you will only be able to transfer 2MP photos. This will do fine for quick social media sharing, but for anything more than that you must connect the camera to a computer. Autofocus (AF) performance remains about the same compared to the D3300 and even D3200, with only 11 AF points available out which only one is a cross-type AF point. It is disappointing Nikon has not improved on this since the Nikon 3200. That being said, the D3400 is reasonably fast to acquire accurate focus in good lighting, while it sometimes struggles to do so in poorly-lit environment. The new AF-P lens improve on this area as well, featuring a new AF engine that is both quieter and faster. Image processing is powered by the same old EXPEED 4 processor we’ve seen in Nikon D3300, thus allowing for the same burst-rate of 5fps. While unimproved, this rate of capture will most likely be more than enough for the intended audience this camera is aiming for. As we have already mentioned in the summary, one area of performance which is much improved is battery life. Being able to take 1200 shots on one charge is rather impressive, although this is partly due to reduced power of flash in the D3400. Nikon’s sensors are the best on the market when it comes to ISO performance and noise-handling. This means that you will be able to take high-ISO shots and still get away with it without too much noise and detail-smudging, even with a low-end DSLR such as this one. Dynamic range is also impressively high. When shooting in raw format, we could pull out an amazing amount of details out of underexposed parts of the image. Base ISO ranges form ISO100 – ISO12800, which is expandable to ISO25600. We recommend avoiding anything higher than ISO6400 if you want your photos to remain free destructive noise-reduction due to increased noise levels. Unlike it’s predecessor, the sensor in D3400 has no anti-aliasing filter, which means more sharpness in photos. JPEGs are very color-rich, sharp and pleasant to look at, white the Auto White Balance can be problematic in certain conditions. 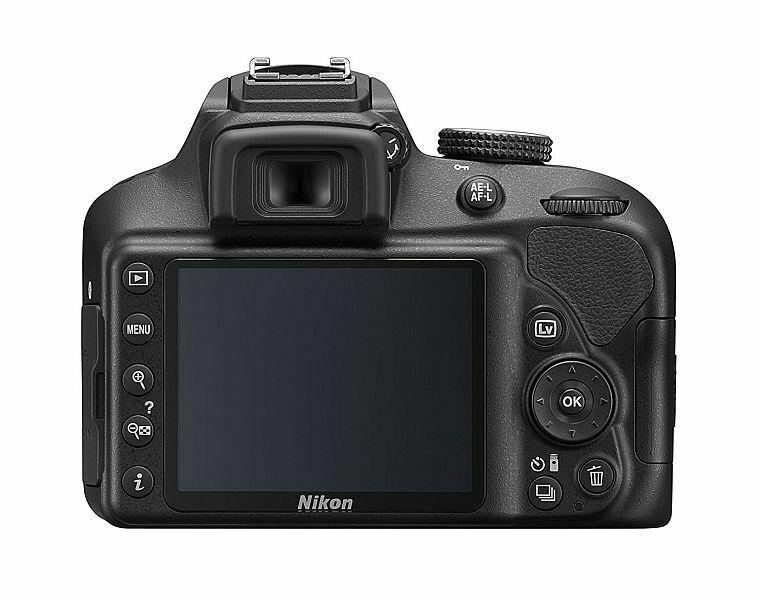 Image quality is one of the strong suits of the Nikon D3000 line of cameras, and the D3400 is no exception. The Nikon D3400 is a solid entry-level camera with an impressive 24MP CMOS sensor, offering excellent image quality and performance for the price. It also offers a great build quality and a full range of manual controls which will do great for beginners looking to learn advanced controls. It is not without issues, however. There is no touch-screen and connectivity is limited to Bluetooth only, so no remote shutter control either. Compared to the more expensive, but similarly-positioned Canon T6i, the Nikon D3400 offers better noise-handling and a wider dynamic range. On the other hand, the T6i has a better AF system with 19 cross-type AF points, a touch-screen LCD with 1m dots and a full range of connectivity options including Wi-Fi and Bluetooth. Still, the D3400 is a great choice for photographers looking to enter the DSLR arena, but without any major upgrades, we would not recommend it to existing D3300 owners. I am a student of computer science in the field of multimedia computing. For the last several years, I have been working part-time as a photographer, content writer and a web and graphic designer. I'm also a tech enthusiast with in-depth knowledge of consumer electronic products ranging from smartphones and PCs to professional cameras..